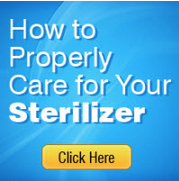 Please fill out the form below so that we can provide you with a Price Quote on the Sterilizer. What is your typical application? Check all that apply. Is the end user outside USA?